Researchers in the United States have investigated mind wandering in volunteers during a driving simulation. When prompted at random during the simulation, the volunteers reported mind wandering 70% of the time. Using electrophysiological measurements, the researchers could identify specific changes in brain patterns when the volunteers were mind wandering. Are you always attentive when driving? How about on the monotonous commute home after a long day’s work? It can be difficult to keep our attention sharp while driving, especially on routes that we drive daily, or when we are tired after work. However, driver inattention is a major factor in road traffic crashes and fatalities. The most obvious sources of driver distraction are external, such as phones or other mobile devices, and scientists have extensively studied the role of these distractions in road accidents. However, many traffic accidents occur without any obvious external distractions. Mind wandering is an understudied form of distraction, where drivers start daydreaming and shift their attention from driving to internal thoughts. 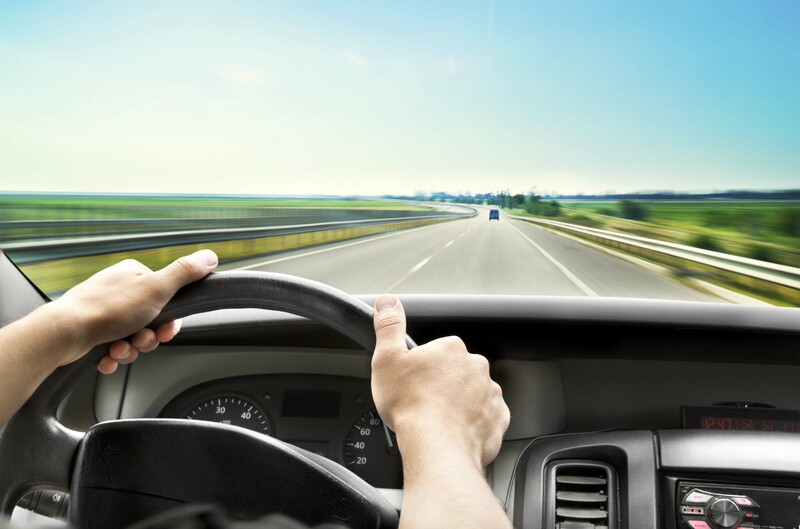 To stay safe, drivers need to remain aware of other road users and respond rapidly to unexpected events, and mind wandering might reduce their ability to do so. Because drivers may not be explicitly aware that their mind is wandering, it can be difficult to quantify it. In a recent study, published in Frontiers in Human Neuroscience, American scientists investigated how frequent mind wandering is during a driving simulation, and whether they could find tell-tale changes in brain patterns for a wandering mind. The researchers asked a group of volunteers to use a driving simulator, while hooked up to an electrophysiological monitoring system, to measure electrical activity in their brains. For five days in a row, the volunteers completed two 20-minute driving simulations along a monotonous stretch of straight highway at a constant speed, to mimic a commute to and from work. Between the two “commutes”, they completed a written test to simulate the mentally draining effect of a day’s work. Throughout the experiment, the volunteers heard a buzzer at random intervals, and every time the buzzer sounded they used a tablet computer to indicate if their mind had been wandering right before they heard the buzzer, and if so, if they had been explicitly aware of their mind wandering or not. “We found that during simulated driving, people’s minds wander a lot – some upwards of 70% of the time,” says Carryl Baldwin, of George Mason University, who was involved in the study. Participants’ minds were more likely to wander on the second drive of the simulation (the drive home after work), and on average, they were aware of their mind wandering only 65% of the time. The scientists could also directly detect mind wandering from the volunteers’ brain activity. “We were able to detect periods of mind wandering through distinctive electrophysiological brain patterns, some of which indicated that the drivers were likely less receptive to external stimuli,” says Baldwin.